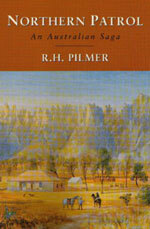 These books will give you a better understanding of the Kimberley. Many are available from good bookstores Australia wide. If they are not generally available you’ll need to search the antique and second-hand bookstores for them. The State Library in your capital city may have a copy. Broome and Beyond – Plants and People of the Dampier Peninsula. By K. Kenneally and Others. 1996. Pub. by Parks & Wildlife of WA. Caught Off Guard and Other Poems. By Janet Wells. Pub. by Hesperian. Drover’s Cook . A book of poetry by Tom Quilty. Pub. by Hesperian. Kimberley Challenge. By Terry Bolland. Pub. by Terry Bolland, Ashfield, WA. North West Bound. 1994. Pub. by Parks & Wildlife of WA. North West Panorama. Pub. by West Australian Newspapers Ltd.
Nyibayarri – Kimberley Tracker. By Jack Bohemia. 1995. Pub. by Aboriginal Studies Press. Our Year In the Wilderness. By Michael & Susan Cusack. Pub. 1989 by Australian Geographic Pty. Ltd., Terrey Hills, NSW. Raparapa – Stories from the Fitzroy River Drovers. Edited by Paul Marshall. Pub. by Magabala Books, Broome, WA. The Kimberley – A Journey through NW Australia. By M Leonard. 1995. Pub. by CIS, Cardigan Street Publishers. The Kimberley – Australia’s Unique North-West. By Jocelyn Burt. Pub. by Houghton Mifflin Australia, Vic. The Kimberley – Horizons of Stone. By A. McGregor and Q Chester. 1992. Pub. by Hodder and Stoughton. The Land Beyond Time. By John Olsen, with Mary Durack, et al. Pub. by MacMillan Co. The Voice of the North. By Jim Kelly, Soft Cover, 1993 New, 138pp. A Kimberley classic of the collected bush poems of Jim Kelly. Alexander Forrest – His Life and Times. By G Boulton. Pub 1958; Melbourne Uni Press. Atlantis: A Flight Into Hell. By Barbara Winter. Pub. by Angus & Robertson. 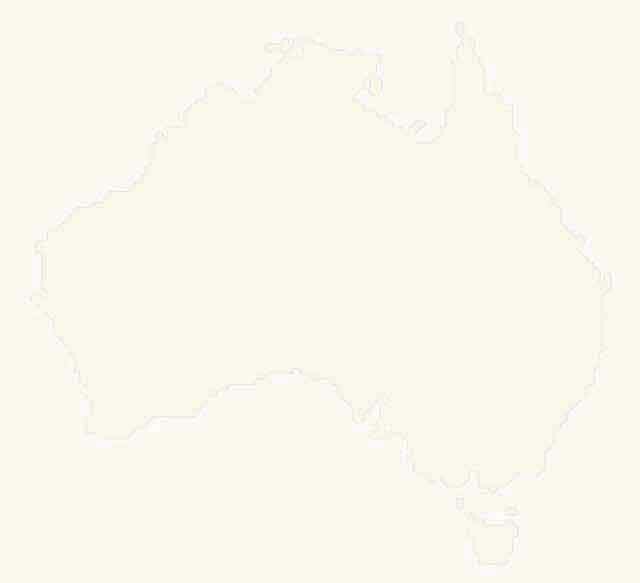 Australia’s North-West Challenge. By W.A. Beattie & M. deLacy Lowe. Pub. by Kimberley Pub. Co. Melbourne. Big John Forrest. By Frank Crowley. Pub 2000; Uni of WA Press. Bulls & Boabs – Kimberley People & Places. By Athol Thomas. Pub. by Rigby Publishers. Chasing the Weight 1886-1912. By F.W.P. Cammilleri. Pub. by Hesperian Press, WA. Cossack Gold. By W.L. Owen. Pub. by Hesperian. Curtin’s Cowboys – Australia’s Secret Bush Commandos. By Richard Walker and Helen Walker. Pub. by Allen & Unwin, Sydney. Do Not Yeild to Despair – The Diaries of Frank Hann. Edited by M. Donaldson. Pub. by Hesperian Press, WA, 1998. Expeditions in Western Australia 1837-1839. By G. Grey. Pub. by Hesperian. Flight of Diamonds. By Major W. Tyler. Pub. by Hesperian. Fossil Downs – a Saga of the Kimberleys. By Gordon MacKenzie. 1995. Pub. by the author. Full Fathom Five. By Mary Albertus Bain. Pub. by Artlook Books, Perth, WA. Golden Quest: Roaring Days of the West Australian Gold Rushes and Life in the Pearling Industry. By A.C. V. Bligh. Pub. 1958 by Hesperian. 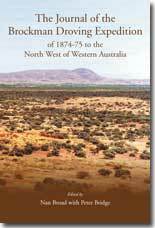 History of The North West Of Australia. By J.S Battye, 1985 reprint of 1915 edition, Hard Cover, 322pp, illustrated. Journals of Australian Explorations 1846-1858 (Gregory). By A.C. & F.T. Gregory. Pub. by Hesperian. Journey Across the Western Interior Of Australia. By P.E. Warburton. Pub. by Hesperian. 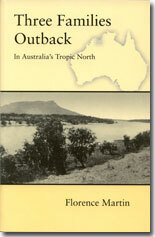 Journal of The Brockman Droving Expedition of 1874-75 to the North of Western Australia. Edited by Nan Broad and Peter Bridge, 2006 new, Hard Cover, Dust Jacket, 177pp, Illustrated. Kimberley Days and Yesterdays. By C.E. Flinders. Pub. by Hesperian..
Kimberley Dreaming to Diamonds. By Hugh Edwards. Pub. by Hugh Edwards, Swanbourne, WA. Kimberley Gold Rush. By C. Clement and P. Bridge. Pub. by Hesperian. Kimberley Scenes. Edited by Cathie Clement & Peter Bridge. Pub. by Hesperian. Kimberley Scrapbook. By Leavy,et al. Pub. by Hesperian. Kings in Grass Castles. By M Durack. 1959. Pub. by Corgi Australia, 1990. Lonely Graves of WA and Burials at Sea. By Y. Coates. Pub. by Hesperian. North of the 26th. Edited by Helen Weller. et al. Pub. by Reeve Books, WA. Northern Patrol. By Pilmer. Pub. by Hesperian. Packhorse & Waterhole – With the First Overlanders to the Kimberleys. By G. Buchanan. Pub. by Hesperian. Patrol to the Kimberleys. By Fred Lane. 1958. Pub. by World Adventure Library. Pearls & Pearling Life. By EW Streeter, 1886 reprint 2007, Hard Cover, 340pp, Illustrated. Port of Pearls. By Hugh Edwards. Pub. by Rigby Pub.lishers. Russian Jack. 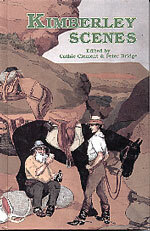 By P.J Bridge, 2002, Soft Cover, 143 pages, illustrated. Spinifex and Sand. By David W. Carnegie. Pub. by Hesperian. Spinifex and Sand Maps. Pub. by Hesperian. 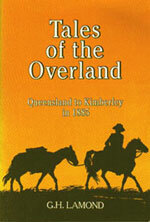 Tales of the Overland – Queensland to Kimberley in 1885. By G.H. Lamond. Pub. by Hesperian. The Call of the Kimberley. By Irene Shackcloth. Pub. by Hallcraft 1950. The Challenge and the Chance. S.K Forrest, Hard Cover, 364 large pp, Illustrated, 1996 new.The colonisation and settlement of North West Australia 1861-191. 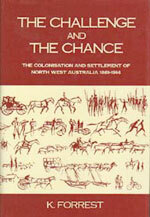 The History of the North West of Australia. Edited By Jas. S. Battye. Pub. by Hesperian. The Law Provides. By E. Morrow. Pub. by Hesperian. 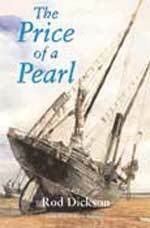 The Price of a Pearl. By Rod Dickson, 2002 New, Soft Cover, Illustrated, 204 pages. 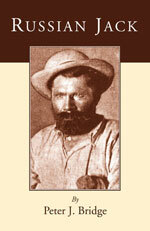 The Rivers of Home – Frank Lacy – Kimberley Pioneer. By Marion Nixon. 1978. Pub. by Vanguard Press, WA. The White Divers of Broome. By John Bailey. Pub 2001; MacMillan. There Were Three Ships – The Story of the Camden Harbour Expedition 1864-65. By C. Richards. Pub. by University of WA Press. Three Families Outback in Australia's Tropic North. 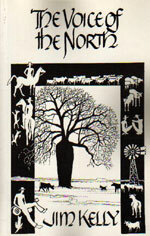 By Florence Martin, 1980 reprint of 2007, Soft Cover, 107pp, Illustrated. WA’s Pearl Harbour – The Japanese Raid on Broome. By Mervyn W. Prime. Pub. by Royal Australian Airforce Assoc. WA. Where God Never Trod – Australia’s Oil Explorers Across Two Centuries. By Rick Wilkinson. 1991. Pub. by David Ell Press P/L. Wyndham - with a ton of salt. 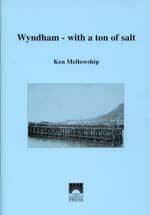 By Ken Mellowship, 2004 new, Soft Cover, 53pp, Illustrated.The people of Wyndham on the wharf and at the meat works, the characters and their foibles. Outlaws of the Leopolds; The Nor-Westers; One Wet Season; Over the Range; Forty Fathoms Deep. All written by Ion. 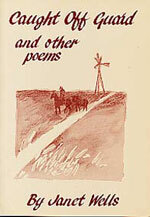 L. Idriess and published by Angus & Robertson. Australia’s Greatest Rock Art. By GL Walsh. 1988. Pub. by EJ Brill/Robert Brown & Assoc P/L. Bradshaw Art of the Kimberley.By Graham Walsh. Pub 2000; Takarakka Nowan Kas Publications. 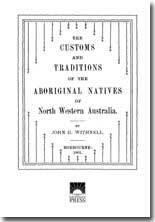 Customs and Traditions of the Aboriginal Natives of North Western Australia. 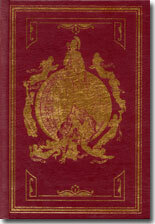 By John G Withnell, Soft Cover, 2007 reprint, 1st published 1901. Kalumburu – The Benedictine Mission and the Aborigines 1908-1975. By Fr. Eugene Perez O.S.B. 1977. Pub. by Kalumburu Benedictine Mission. King of the Kimberley. By Rocky Marshall. 1988. Pub. by Peacock Publications. 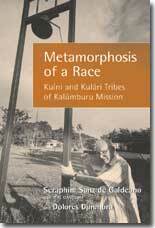 Metamorphosis of a Race - Kuini & Kulari Tribes of Kulumburu Mission. By Seraphim Sanz De Galdeano and Dolores Djinmora, Soft Cover, 152pp, Illustrated. Engrossing ......a living history. Rock Art of the Dreamtime. By Josephine Flood. Pub 1997; Angus & Robertson. The Art of the Wandjina. By I.M. Crawford. Pub. by Oxford University Press, Melbourne. The Bradshaws – Ancient Rock Paintings of NW WA. By Graham Walsh. Pub 1994; Bradshaw Foundation. The Forrest River Massacre. By N. Green. 1995. Pub. by Fremantle Arts centre Press. The Riches of Ancient Australia – A Journey into Prehistory. By Josephine Flood. Pub. by University of Queensland Press, St. Lucia, Qld. The Rock & The Sand. By Mary Durack. Pub. by Constable & Co. Ltd. London. Nature Conservation Reserves in the Kimberley. By Burbidge, et al. Pub. by Parks & Wildlife, WA. Wolfe Creek Crater. By Ken McNamara. Pub. by Western Australian Museum, Perth. A Field Guide to the Birds of Australia. By G. Pizzey. Pub. by Collins. Atlas of Australian Birds. Pub. by Birds Australia. The Birds of Australia. By Simpson & Day. Pub. by Lloyd O’Neil Pty. Ltd.
Australian Snakes. By Graeme Gow. Pub. by Angus & Robertson. Grahame Webb’s Crocodiles of Australia. By Grahame Webb & Charlie Manolis. 1989. Pub. by Reed Australia. Lizards of Australia. By S. Swanson. Pub. by Angus & Robertson. Australian Spiders. By D. Clyne. Pub. by Nelson. The Complete Field Guide to Butterflies of Australia. By Michael F Braby, Australian National University (CSIRO Publishing). Arid Shrubland Plants of WA. By A.A. Mitchell & G.G. Wilcox. Pub. by UWAP, 1994. Australian Native Plants. By John W. Wrigley & Murray Fagg. Pub. by Reed Books. Flowers and Plants of Western Australia. By Rica Erickson, et al. Pub. by Reed Books, NSW. Mangroves of Australia. By Richard Lear & Tom Turner. Pub. by University of Qld. Press. Palms in Australia. By David Jones. Pub. by Reed Books. Plants of the Kimberley Region of Western Australia. By R.J. Pethram & B. Kok. 1986. Pub. by University of W.A. Press. Top End Native Plants. By John Brock. 1988. Pub. by John Brock – Winnellie, N.T. Wildflowers of Western Australia. By C.A. Gardner. Pub. by St. George Books. Fishing the Wild West. By Ross Cusack and Mike Roennfeldt. Pub. by St. Georges Books WA. Guide to Fishes. By E. M. Grant. Published by the Dept. of Harbours and Marine, Qld, available through good book shops. A Field Guide to the Freshwater Fishes of the Kimberley is now available detailing the fascinating freshwater fishes of the region including newly described species. The compact, fully illustrated book highlights the unique species endemic to the Kimberley from the Fitzroy River in the south-west to the Ord, Victoria and Fitzmaurice rivers in the east. The book includes exciting new species descriptions, distributional maps, cultural values, language names, ecology and conservation status of almost 100 species. It serves as an educational resource for schools, Ranger groups, community groups, recreational fishers, naturalists, tourists and governmental departments. A Field Guide to the Freshwater Fish of the Kimberley can be purchased through the Store at the Museum or online at magnt.net.au for $20. Gemstones in Western Australia. By Geological Survey of W.A. Gold & Ghosts – A Prospectors Guide to Metal Detecting in Australia No. 1 WA. By D.W. de Havelland. Pub. by Hesperian. Gold Deposits of Western Australia. By A.G. Maitland. Pub. by Hesperian. Gold Prospecting. By Douglas M. Stone. Pub. by Outdoor Press, Lilydale, Vic. 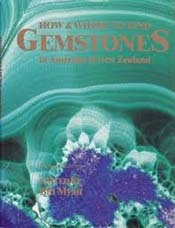 How & Where to Find Gemstones in Australia and New Zealand. Edited By Bill Myatt. Pub. by Lansdowne Press, Sydney.